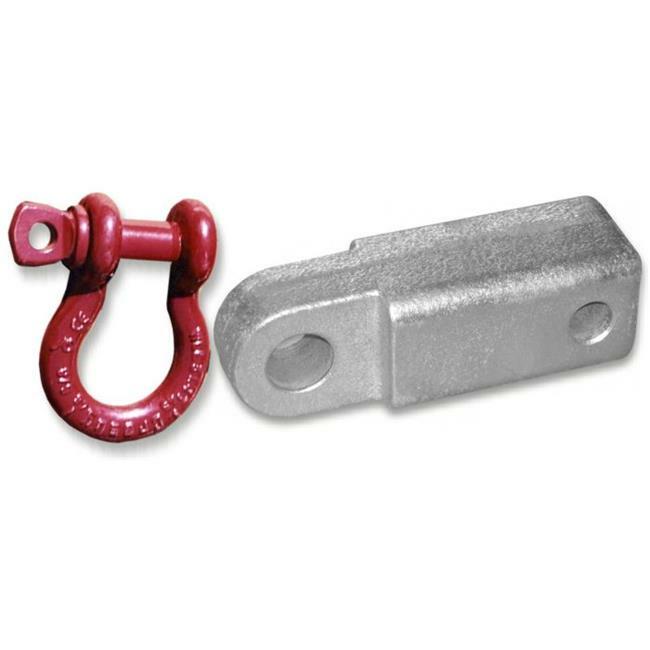 Our cast steel receiver shackle bracket with D-ring shackle. 2 inch steel receiver shackle bracket, superior strength - rated at 20,000lbs With CROSBY McKISSICK. U. S. MADE D-ring shackle, has a rust resistant powdercoated finish with working Load shown on shackle. Lockable and rated (30,000 lbs) hitch pin.